Mystic, CT – Animal care professionals at Mystic Aquarium have the honor and privilege of caring for multiple species that appear on both the International Union for Conservation of Nature (IUCN) Red List of Threatened Species™ as well as the Federal Endangered Species List including the endangered Panamanian golden frog, African penguin and green and loggerhead sea turtles. Recently proposed rule changes would significantly weaken the Endangered Species Act, risking extinction for these species and countless more. But, it is not only the daily care of these listed species that is critically important to Mystic Aquarium and its dedicated staff of professionals; it is also the continued protection of these and all endangered species. Today the Endangered Species Act is under fire and Mystic Aquarium is seeking the help of the general public. An initial public comment period has been initiated by U.S. Fish and Wildlife Service (USFW) to hear the public’s feedback on proposed changes to the Act. “With habitat loss, biodiversity declines, climate change and human interaction, increased protection for endangered species is more critical than ever,” said Katie Cubina, Senior Vice President of Mission Programs for Mystic Aquarium. 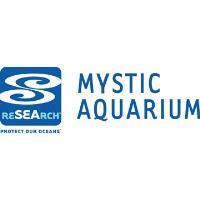 An action alert can be found on the Aquarium’s website, MysticAquarium.org, where participants can join Mystic Aquarium in urging the U.S. Department of Fish and Wildlife Service to rescind the proposed rule changes. Petitions will also be located at Mystic Aquarium during two outreach events International Coastal Cleanup celebration on Sunday, September 16 and National Estuaries Day Celebration on Sunday, September 23. All with the goal of empowering the public and inciting change with legislators to take action. The Endangered Species Act is the nation’s most effective law for protecting wildlife in danger of extinction; 99% of species listed under the Act have survived and are on the path to recovery. It also already allows for flexibility in protecting endangered wildlife and requires that federal, state, tribal and local officials work together to prevent extinction. Mystic Aquarium and their colleagues believe that it is imperative that all decisions about recovering endangered species should be based in best available science, not special interest or economics. They have grave concerns that these proposed rule changes will open the door to more dangerous revisions that will weaken the Endangered Species Act. The Endangered Species Act is considered one of the most successful conservation policies in the world because of an effective governmental process that continues to bring species back from the brink of extinction. “We have a duty to save endangered animals and the places they live,” concluded Cubina.